One of the major constraints for taking IVF treatment for most Indian patients is the fact that IVF treatment is so costly. Now even if IVF treatment was expensive but they were sure they would get a baby, they would somehow scrounge up the money and go ahead and do it , but the problem is that you may end up spending a bomb and still get nothing in return. This is why it's very hard for them to take this step , and many get paralysed into inactivity. They will spend a lot of time doctor-shopping, and try to find the IVF clinic which provides the cheapest treatment . The problem is they don't understand that there's a world of a difference between the quality of care IVF clinics provide , and that the cheapest IVF clinic is not always the best. 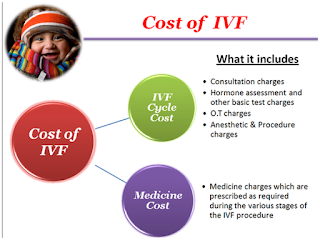 In fact, many end up wasting a lot of money doing IVF at low cost centers , which are low cost because they cut a lot of corners and have very low pregnancy rates. Not only do they end up burning all their cash , but they also deprive themselves of having a baby, because then they can no longer afford to do treatment at a high quality clinic. Remember it's not just a question of the cost of the treatment - it's also a question of cost effectiveness, and the pregnancy rate of the clinic make a big difference !